How many times have you made the call to your mother: “What can I make for dinner out of zucchini and garbanzo beans?” or totally random ingredients like that? I do it at least once a week, it seems. Well, since I started getting Bountiful Baskets, I often get produce I’ve never used before, or even seen before. So naturally, I have no idea what to make out of them. 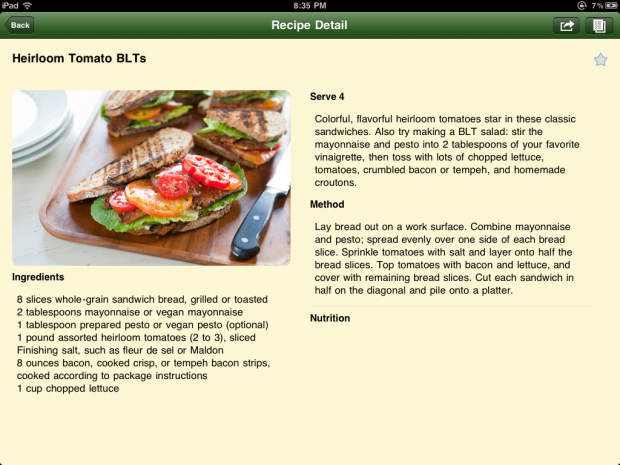 I do a lot of searching online to try and find recipes, but a few months ago I found the best app ever. It takes all the guesswork out of things. 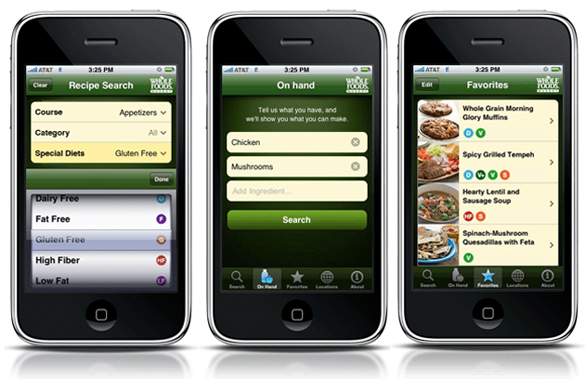 It’s the Whole Foods Market Recipes App. You can search by category: cooking with kids, budget, entertaining, one pot meals, no cook, etc. 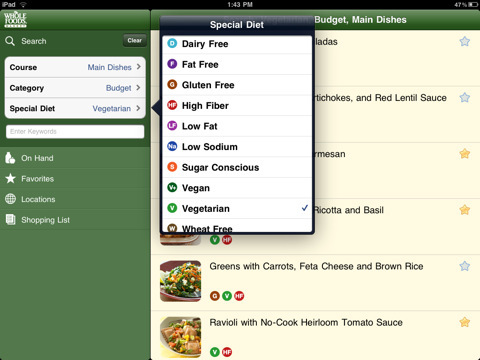 You can also search recipes by special diet: dairy free, gluten-free, vegan, sugar conscious, etc. I really really love this app. Give it a try! This entry was posted in Dinner, Recipes, whole foods and tagged Awesome Apps, Recipe apps, Whole Foods App, Whole Foods Market, Whole Foods Recipes.